Have you ever wondered what happens “behind the scenes”? Do you want to be part of the fun but would rather not be on stage? 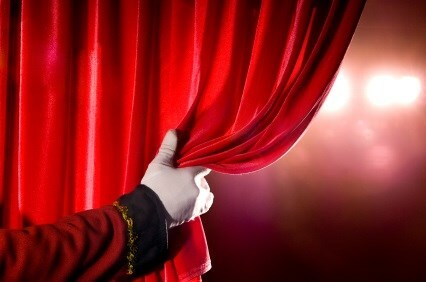 BLT is considering offering a class on the backstage aspects of putting on a show. This would be a one day 2-3 hour survey class introducing you to what’s involved in the various jobs that create what the audience sees. We’ll discuss designing the visual appearance (sets, costumes, lighting), the practical jobs of putting everything together (building, painting & decorating the set, gathering and building props and costumes, hanging & focusing lights, creating & assembling music cues and sound effects), and the live action jobs that keep the show running (managing the stage, operating the lights and sound, helping with costume changes & resetting the props during performances, working the ticketing box office, ushering & running concessions). Our goal is to enhance your experience as audience members and/or actors. In addition, although not required, we hope you will find an area that especially appeals to you so you might consider learning more by joining us working in your chosen area(s) backstage. Let us know if your interested by filling out this short online questionnaire.